This tool is for Big Muscle's Aero Glass for Win8.1 and will let you configure nearly all of the settings for Aero Glass with ease. Updated version for Aero Glass RC1, now includes the Text Glow mode and cleaned up the script a little bit. Updated version For Aero Glass for Win8.1 1.0 obsolete settings have been removed and new text glow size option has been added. Below are all the scripts used to make this tool, feel free to reuse or modify the code to your liking. Looks nice. I'll get it in case I'll change my mind and use Aero glass some day. please don't always create tools to tweak Aero, they cause more issues than they solve. Let BM implement it, he knows which settings the DLL uses or not. Yes please stop because you will just annoy the developer and give him more problems to deal with. Yes please stop because you will just annoy the developer and give him more problem to deal. Stop being so childish, how old are you 12? Please give an example of my tool causing anyone a problem, this is just a simple UI to set registry settings, all the values also have a clear button to remove any of the added values, it's the safest option I have seen anywhere and the easiest to use. 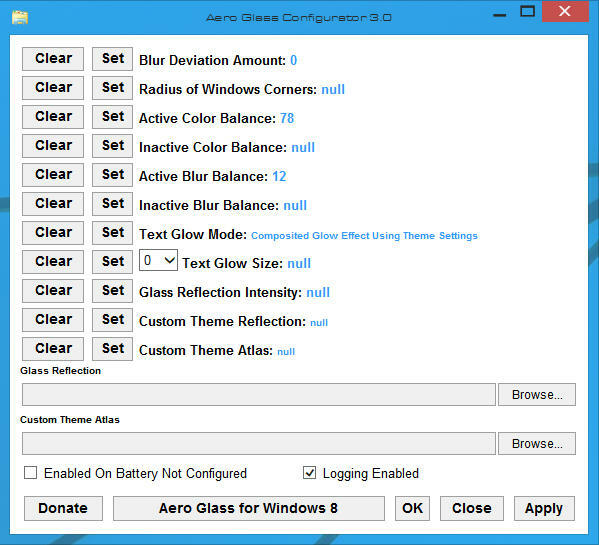 we had this in the past (http://www.msfn.org/board/topic/162036-aero-glass-tweaker-gui-for-win8-v132/) and this tool only caused issues. I think what Andre means is that while Aero is still in development that it might actually be better to have to be a knowledgeable user in order to play with it. Tweaking tools might make it appear easy enough to use that some users will play with it that aren't really ready to do so, or they'll use a version of the tool that doesn't match the version of Aero that they're trying to adjust. They'll get themselves into trouble and then clog up the board with questions and complaints that so-and-so doesn't work right, when it was really their own fault. I'm sure that once Aero is finalized that all users will greatly appreciate your tweaking tool, and perhaps you and BM can jointly release it, ensuring that only documented and approved settings are adjusted, maybe even only over a set range to keep new users from "hurting" themselves. At least that's my two cents. It would be nice if this application had a preview window showing what all these values actually do to the Aero Glass effect. Another suggestion: some of the values (especially those ranging from 0 to 255) could use a slider for easier adjustment. 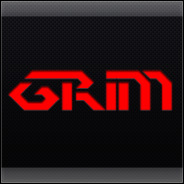 As for having a slider, I have specified the values range and the recommended values, as far as I know HTA scripts don't support having a slider, I am not sure on that though, this was the first time I have ever made one, I just Googled everything I was trying to do, it was all just trial and error to get it where it is, it's totally Open Source though so if you want to alter it and maybe enhance it then be my guest, I mainly just made this tool for myself and thought others may find it handy. 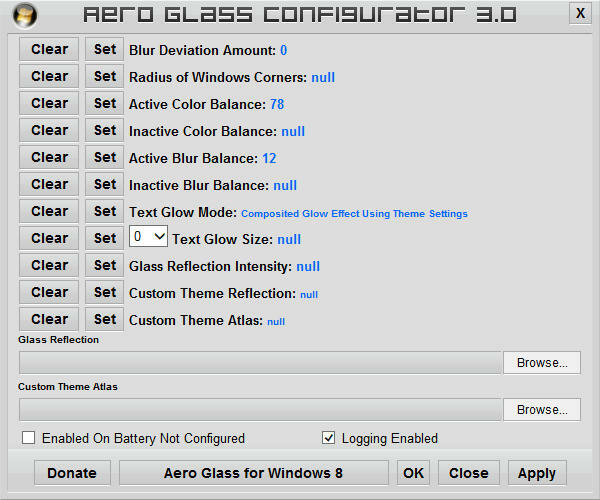 If future changes are made to Aero Glass that will mean changes to registry values then I will then release an updated version of the configurator and specify what version it works best on. There is nothing complicated about this configurator, so please don't overcomplicate things, I am not a programer and this tool is nothing more then a simple script, as I have already mentioned, this was the first time I have even made a HTA script, I used Google to teach me how, if you want to make your own version then feel free. Seems to work well. The UI is pretty gross though, and also looks like it was make for Windows 95. Additionally, the cheesy startup sound should be removed and never heard again, ever. I noticed that if you have a value set already and click on "set" to open up the popup window to enter the value, but then click "cancel" it does not actually cancel, but instead erases the value that was already set and replaces it with a value of zero. For example, if it said I had the Active Color Balance set to "22" and then click on the "set" button, and then click on the "cancel" button on the popup window, it will now show that the Active Color Balance is set to "0", not "22". 2 New styles added and sound removed. As for the cancel button, well tbh I could not figure out how to change it from putting a value of -2147483647 I have no idea where this value comes from but that's what it does, the only way round that I could find was to have a fall back value so if nothing was entered or if you hit cancel it reverted to a default value. Updated again with 2 new styles added and start sound removed.